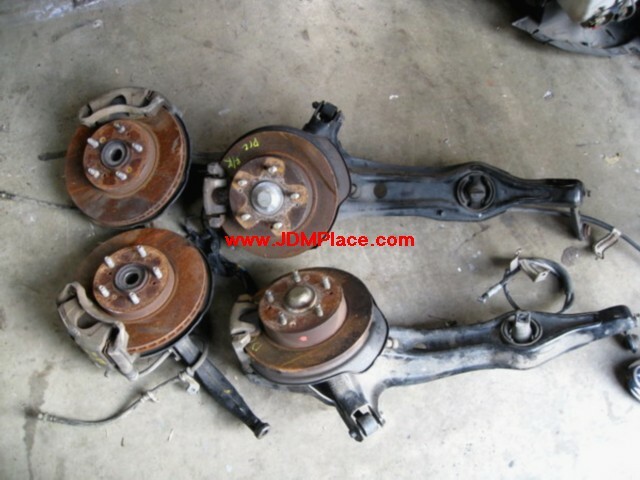 JDM Version 5 STI front 4 pot brakes set up with calipers, pads and rotors, complete. Fits most Subaru models. JDM Version 5 STI front 4 pot brakes set up with calipers/pads/rotors/hubs/spindles/lines complete. Fits most Subaru models. JDM S14 complete 5 lug conversion with 4pot front calipers, includes spindles, hubs and rear brakes, all 4 corners are included.